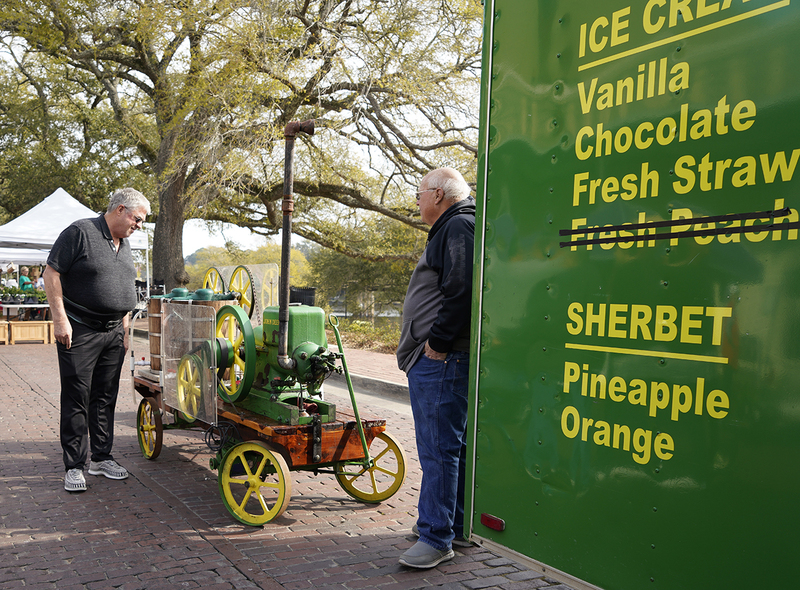 When peaches are out of season, you can’t make fresh peach ice cream even with a vintage John Deere powered churn. 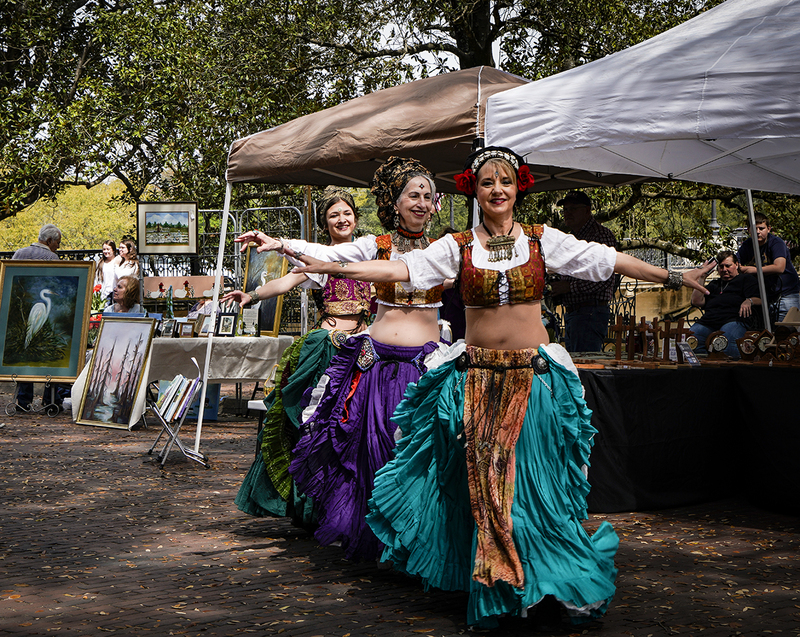 Indigeaux Belly Dancing on the Bricks, a feature of our Spring Market, Art and Blooming on the Bricks. 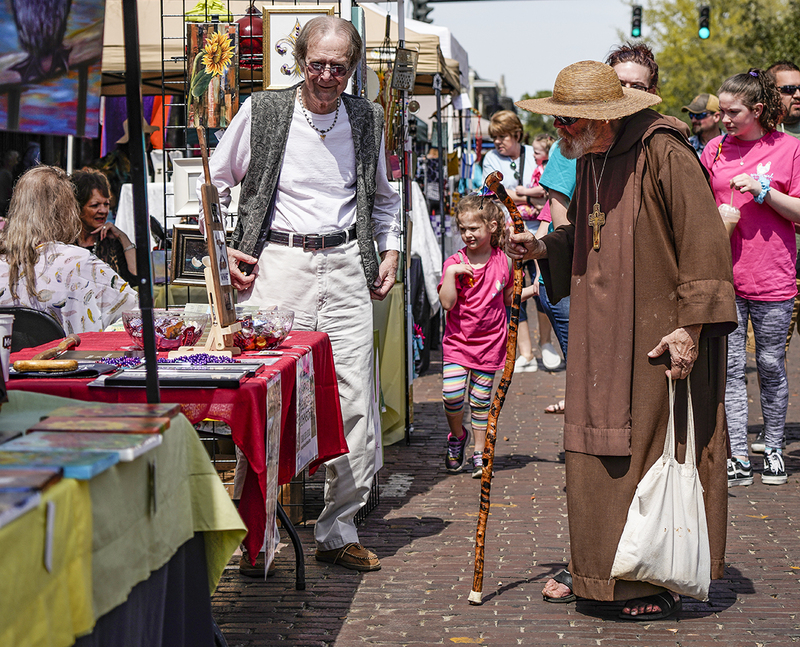 Two of my favorite denizens of this fair village, Junior Johnson former Oil Worker, turn author of local history, and Brother Michael David, a real monk who taught Art at LSMSA. This entry was posted in Natchitoches Life on March 24, 2019 by SonC.